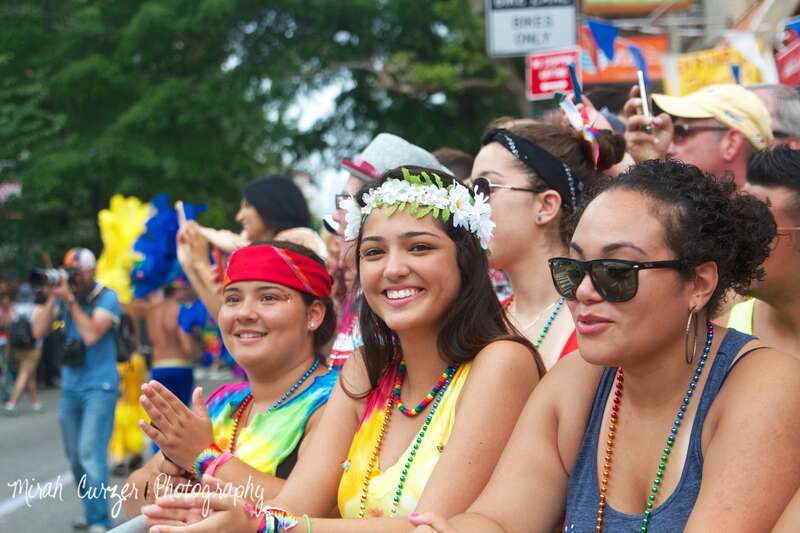 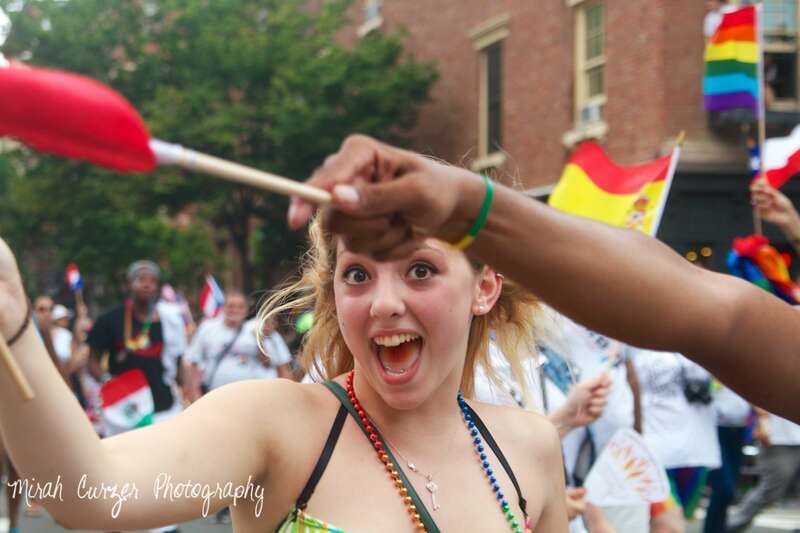 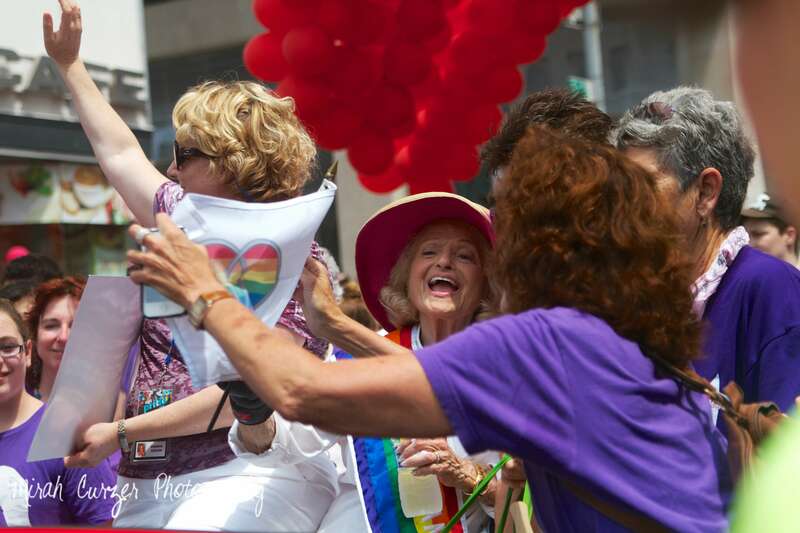 Posts with tag: "Marriage Equality"
Coming on the heels of the historic marriage equality victory in United States v. Windsor, this year's Pride March was absolutely incredible. 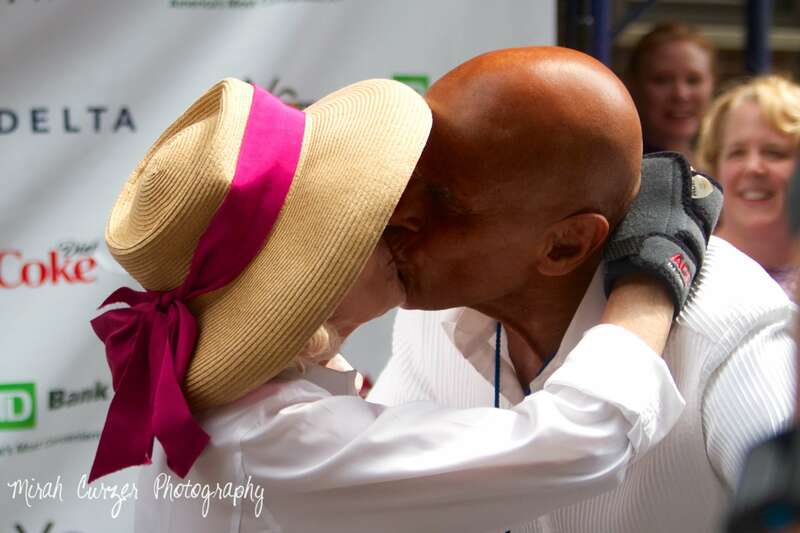 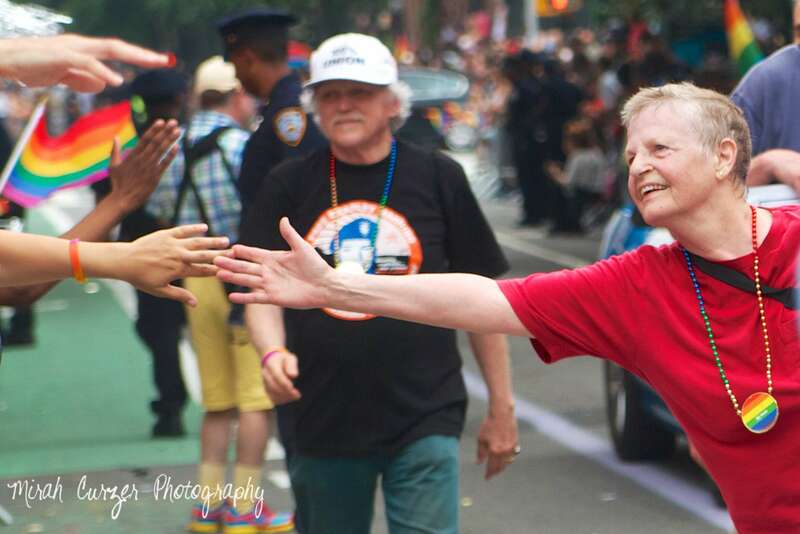 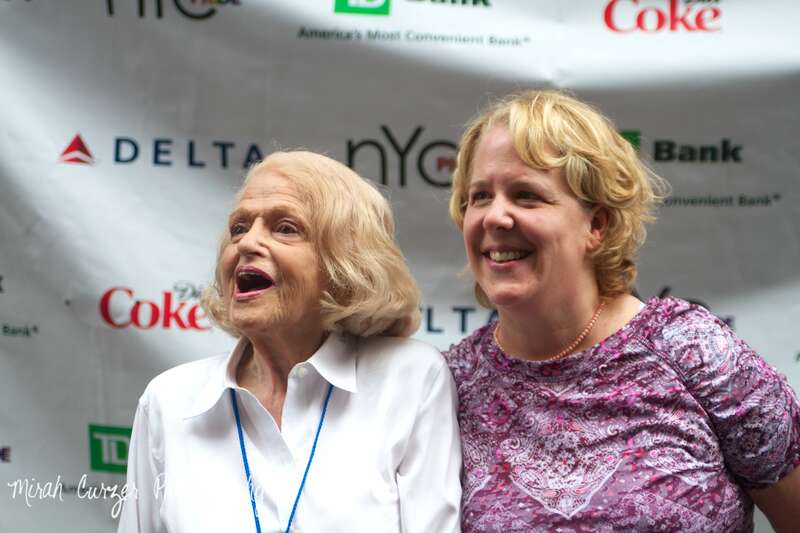 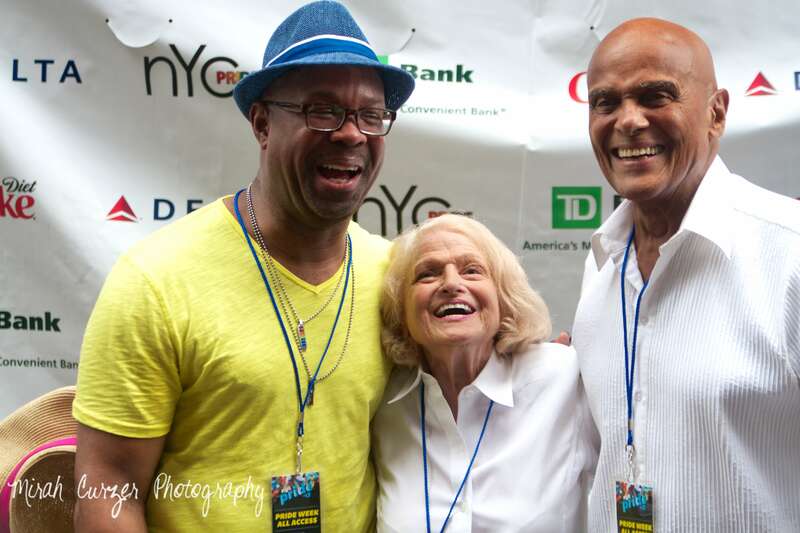 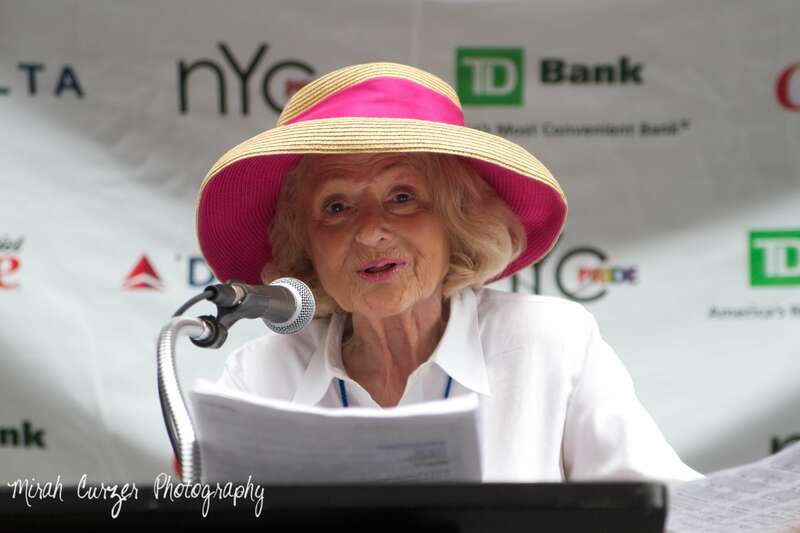 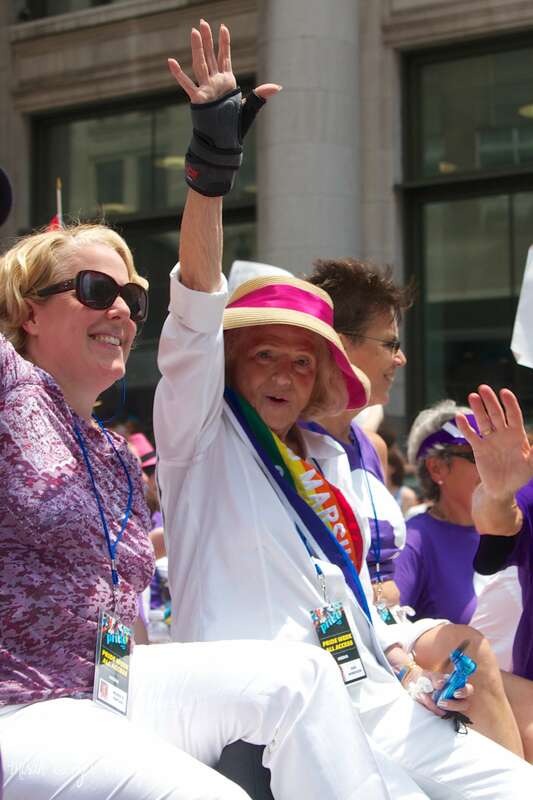 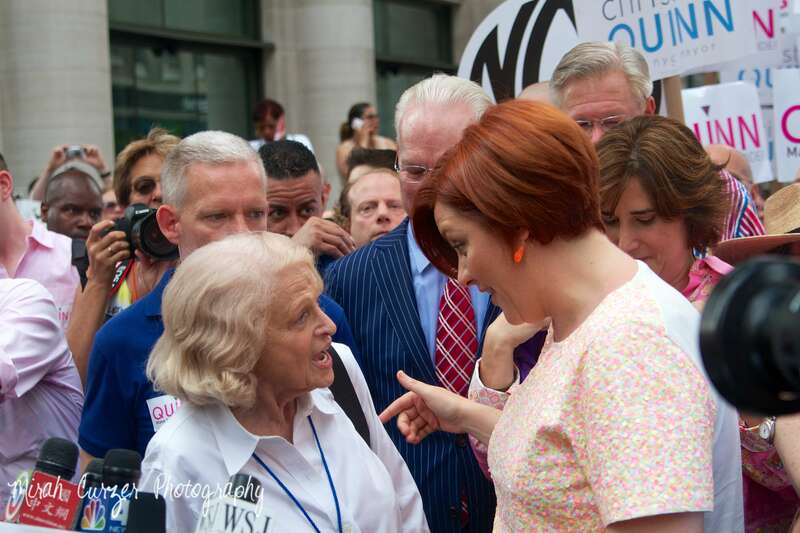 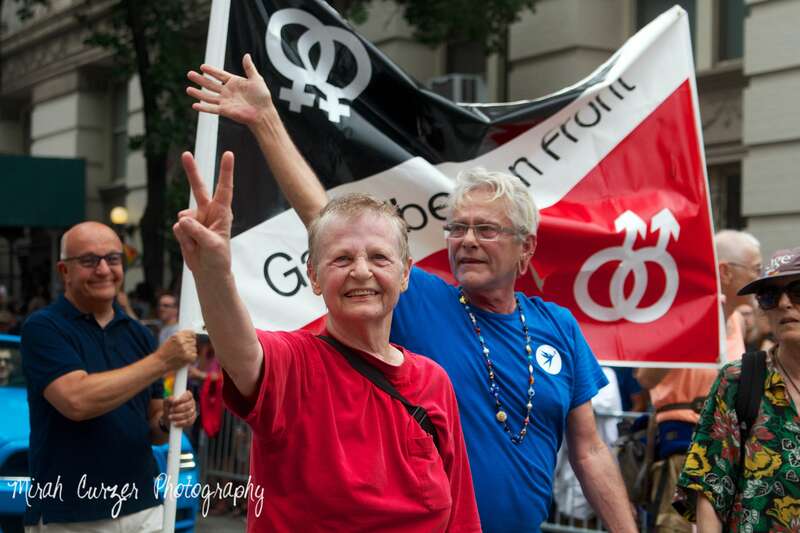 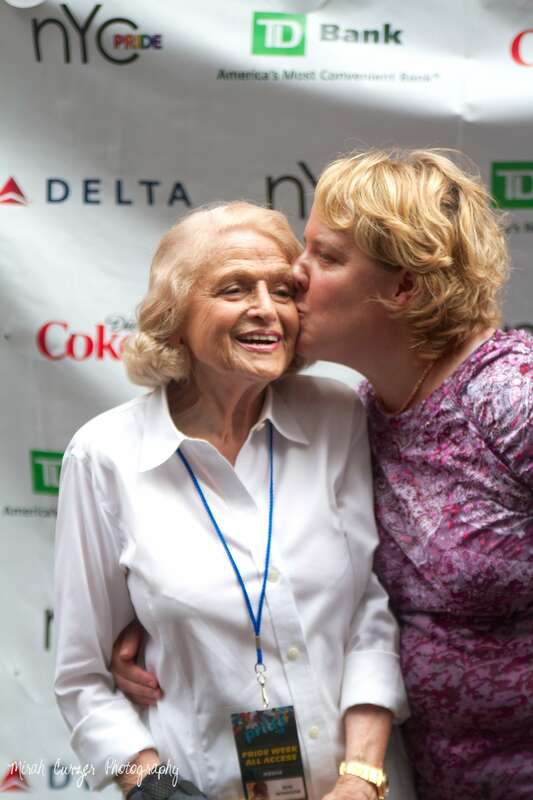 Edie Windsor, the plaintiff in the Supreme Court case that overturned DOMA, was one of the Grand Marshalls of the parade, and the outpouring of love for her was astounding. 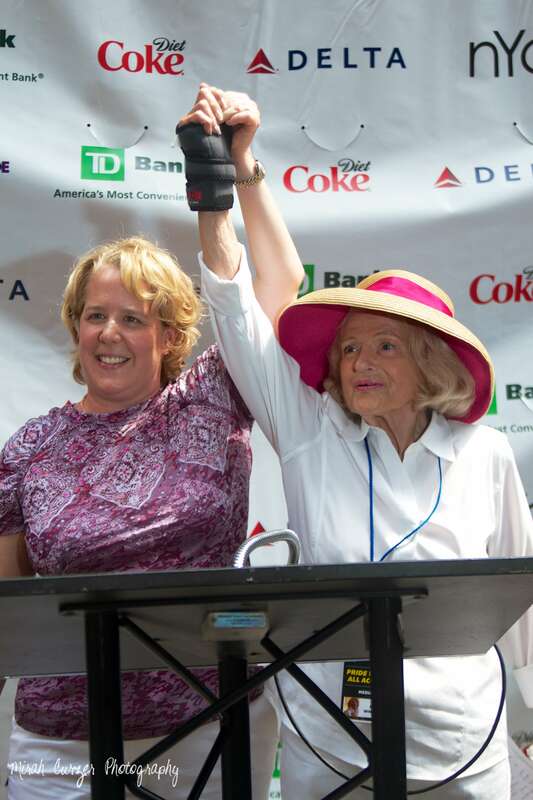 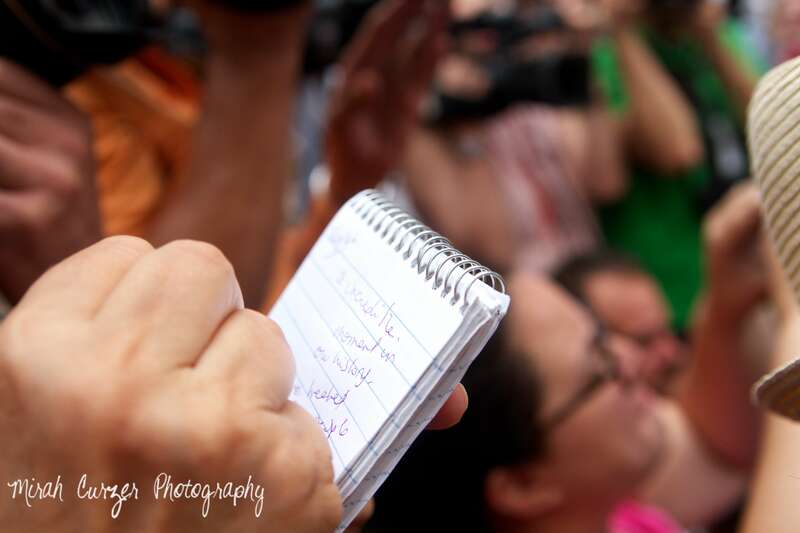 She and her lawyer, Roberta Kaplan, spoke at the press conference that opened the march. 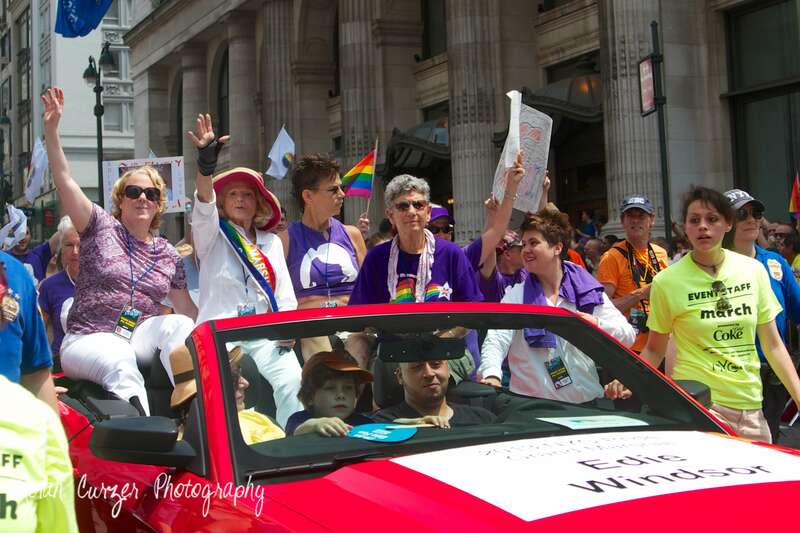 What incredibly brave women! 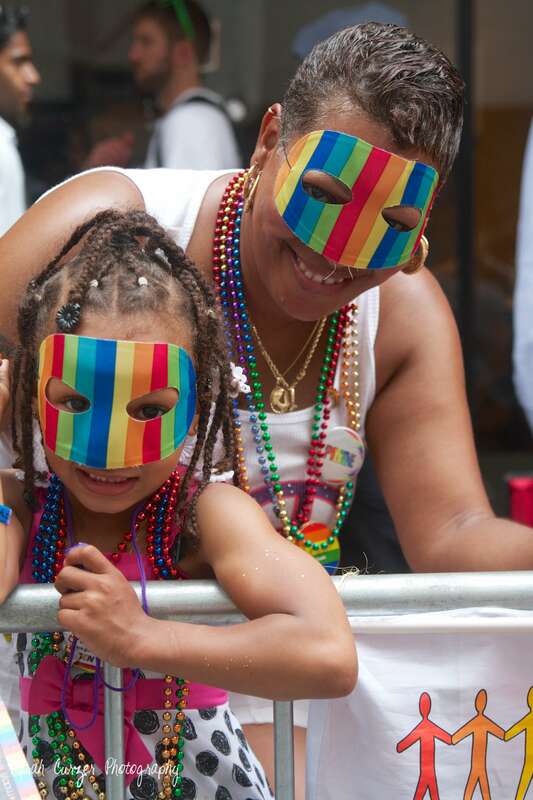 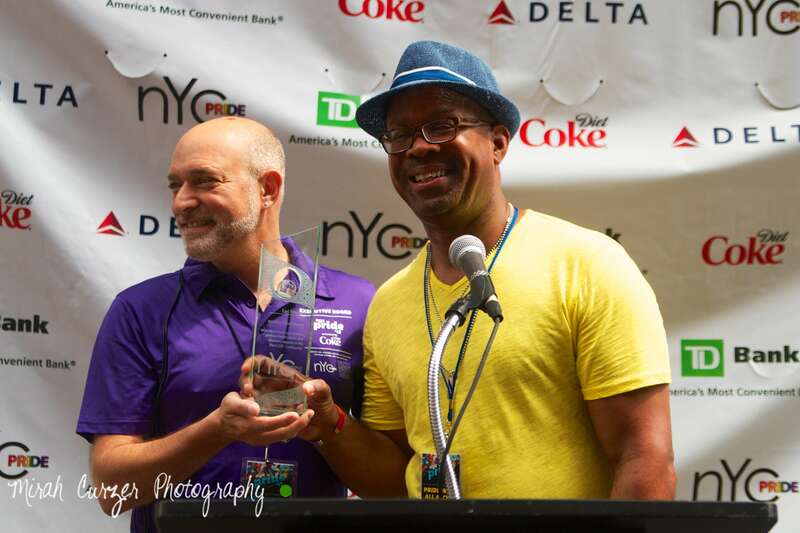 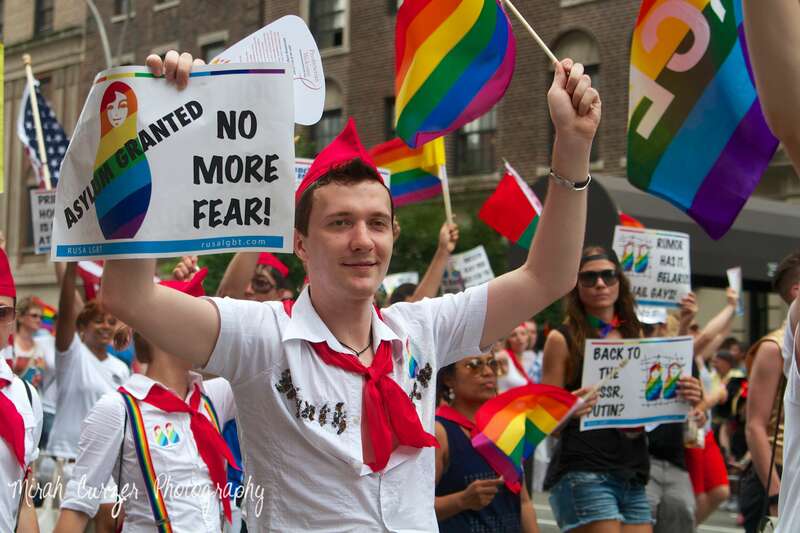 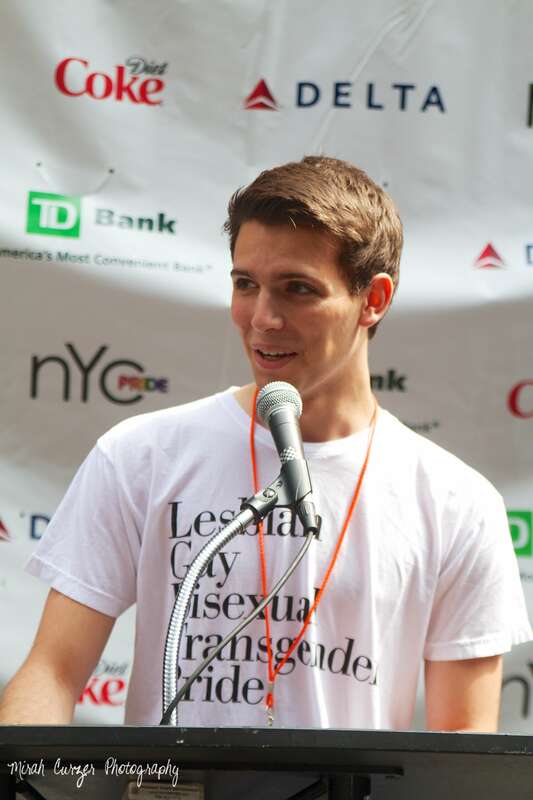 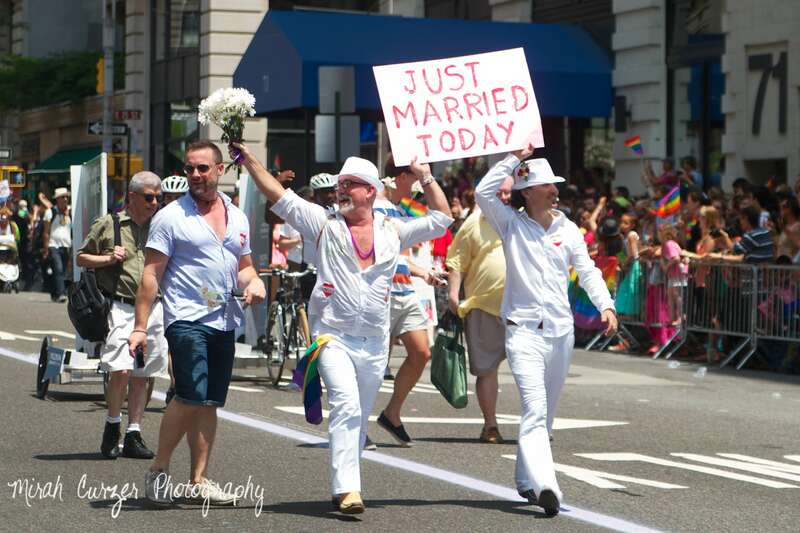 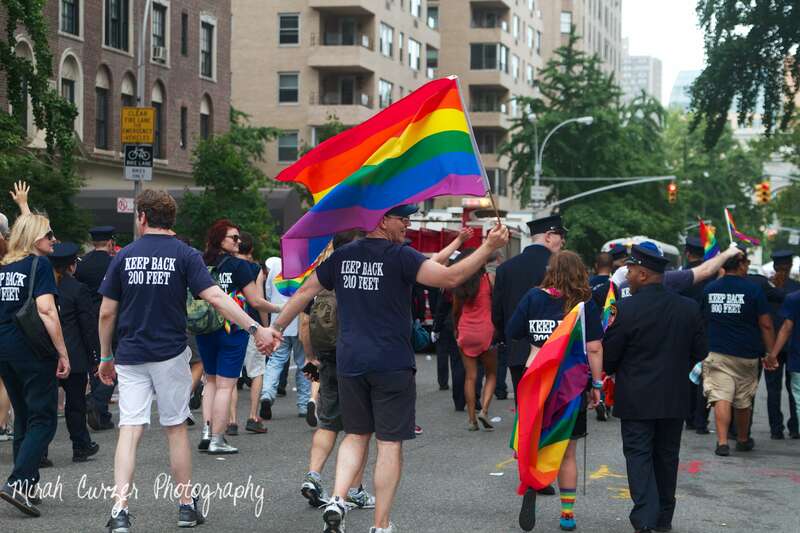 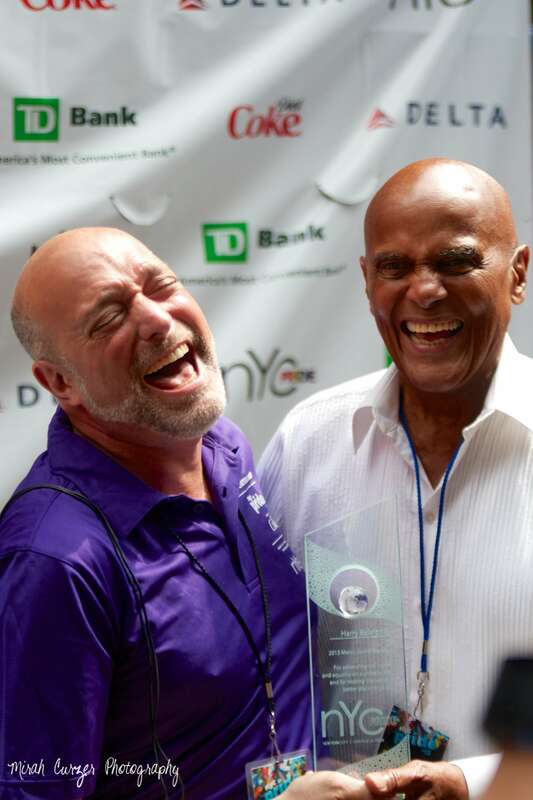 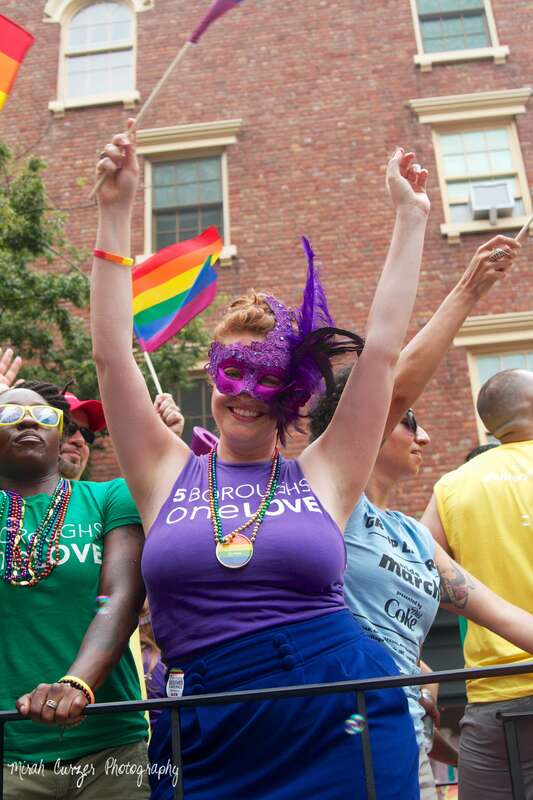 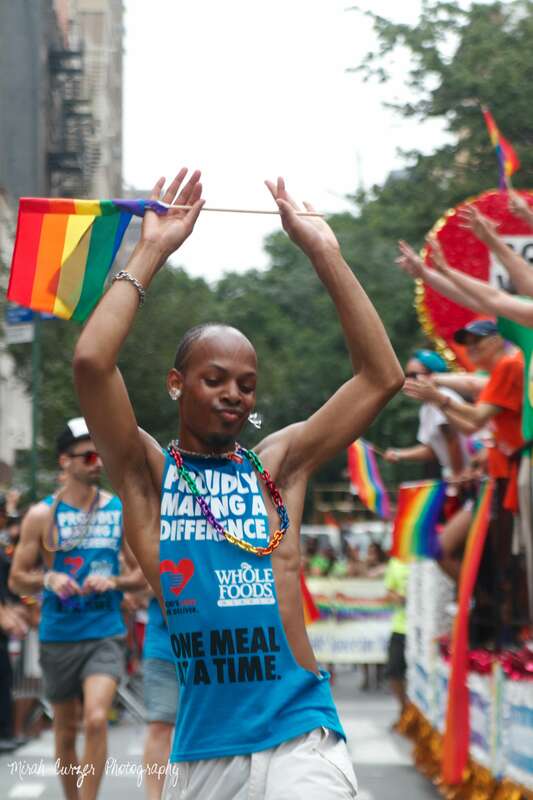 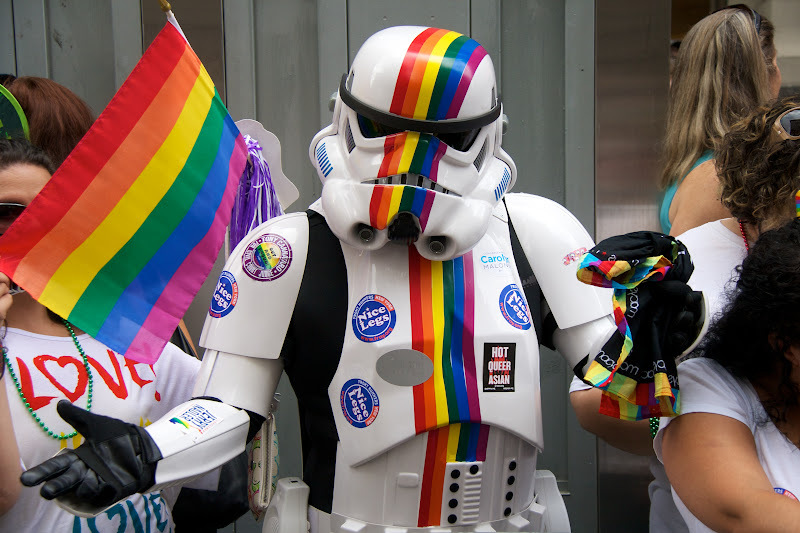 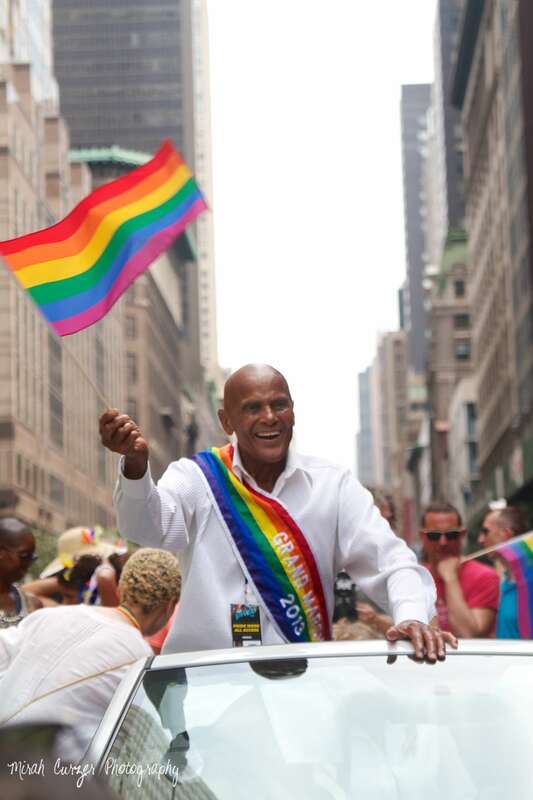 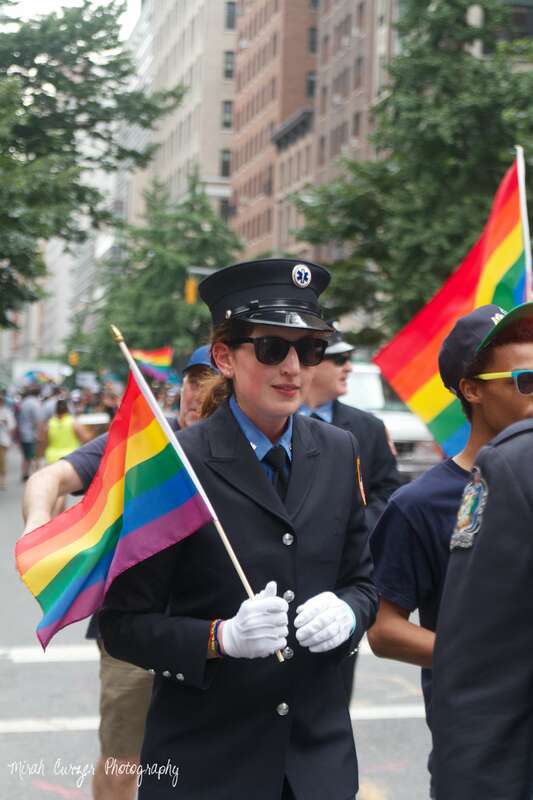 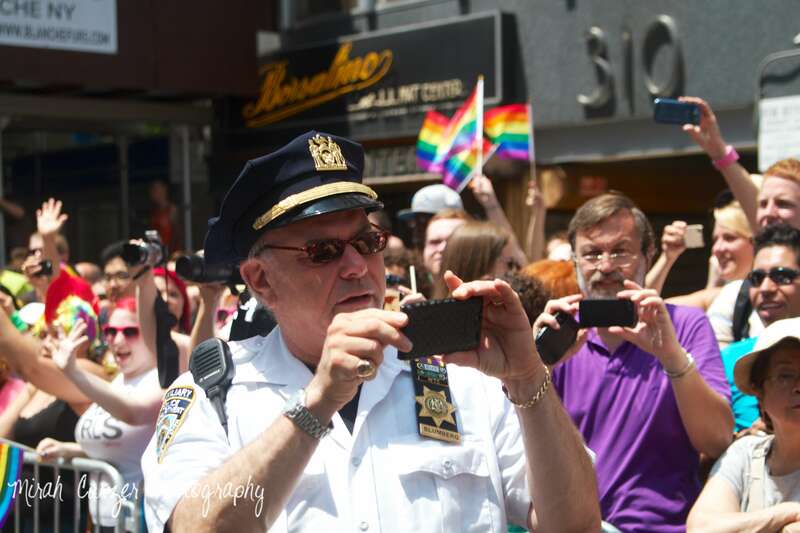 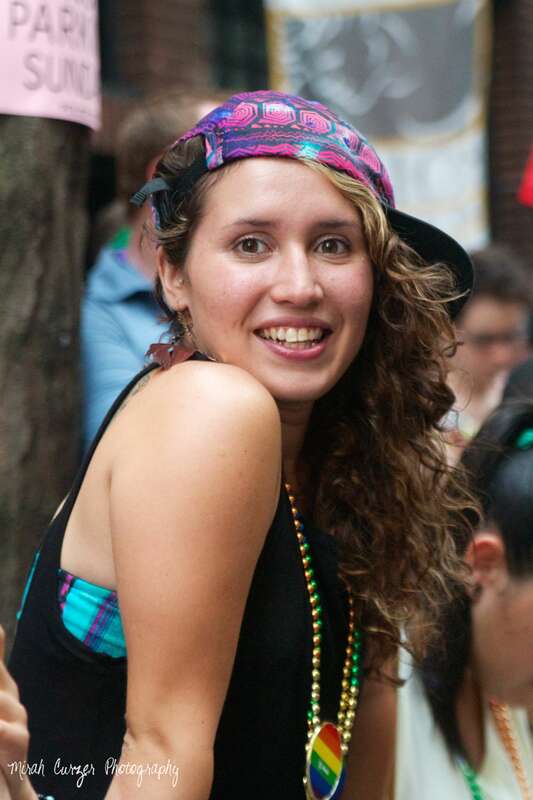 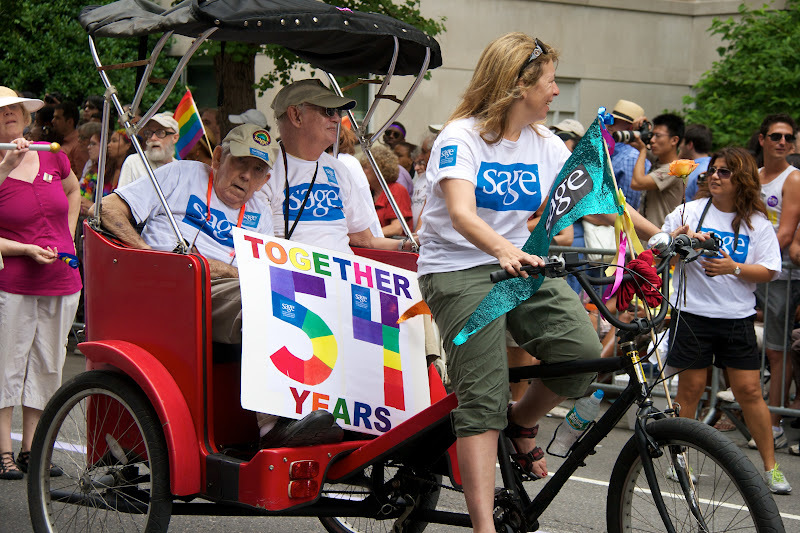 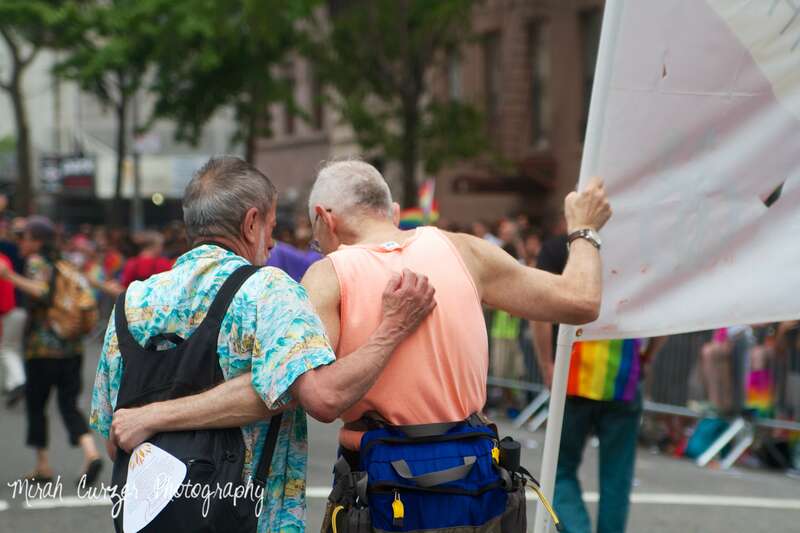 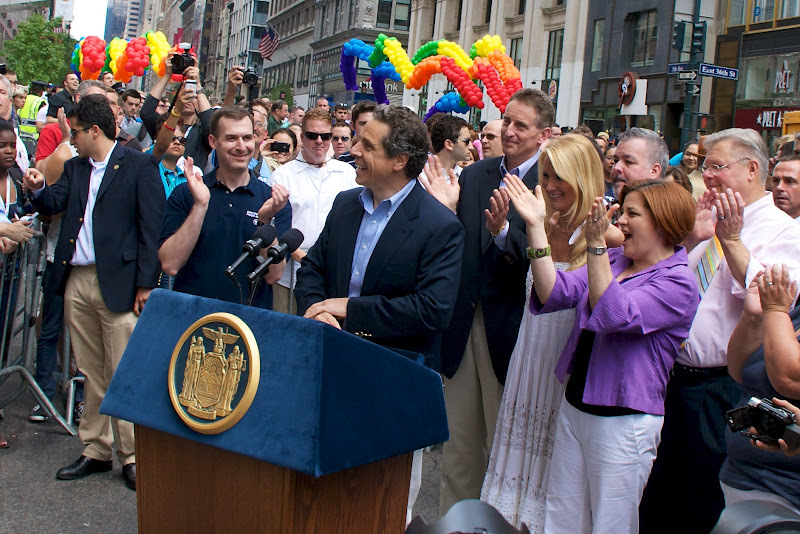 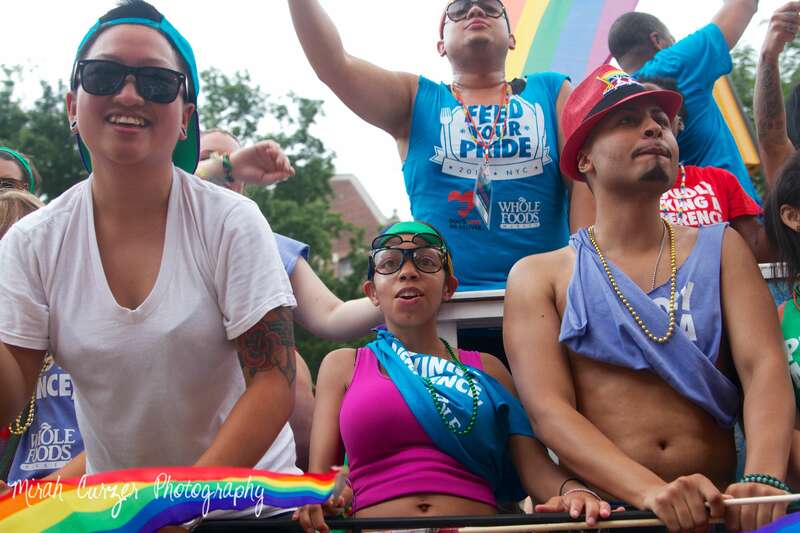 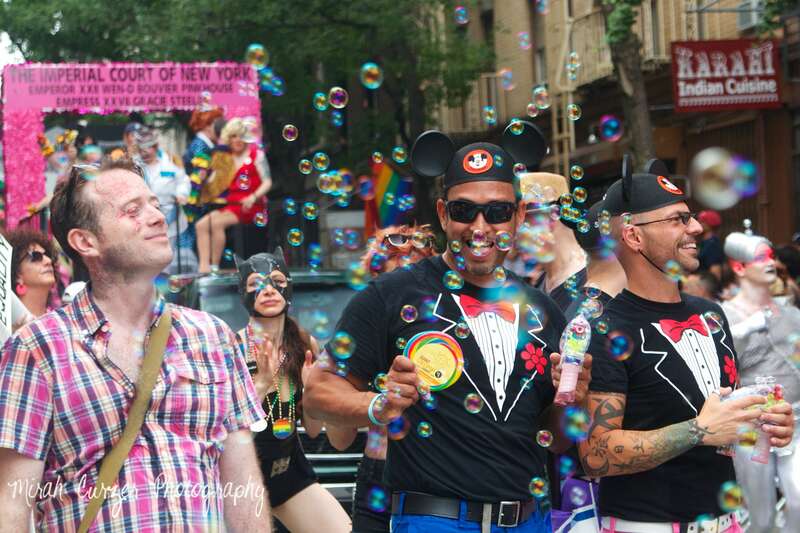 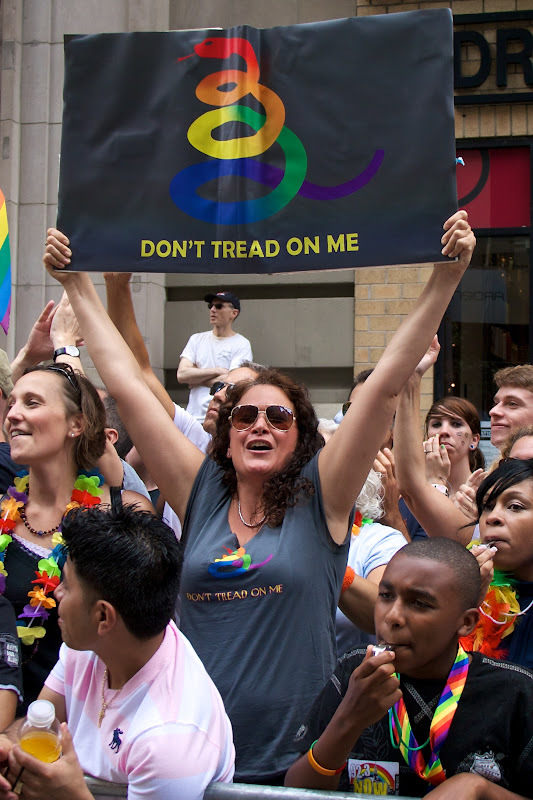 As it was two years ago when New York legalized gay marriage on the eve of the Pride March, this year's event was a celebration of a movement that has made incredible progress in such a short time. 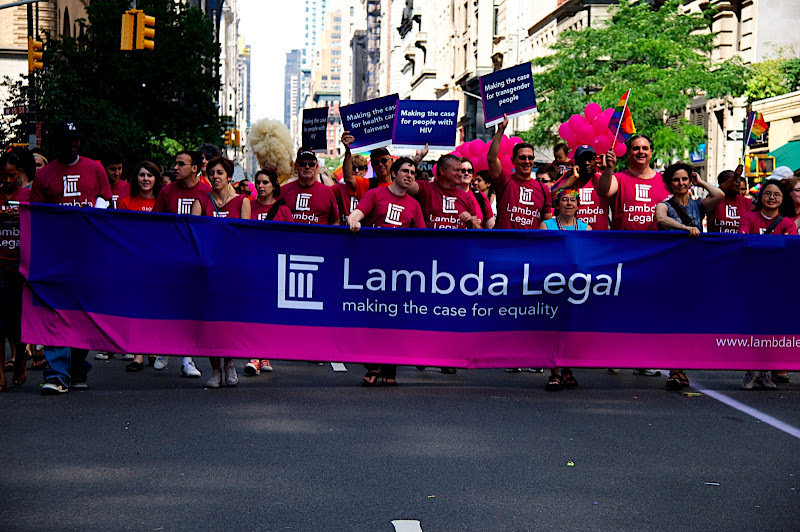 It's hard to believe that Lawrence v. Texas was only ten years ago! 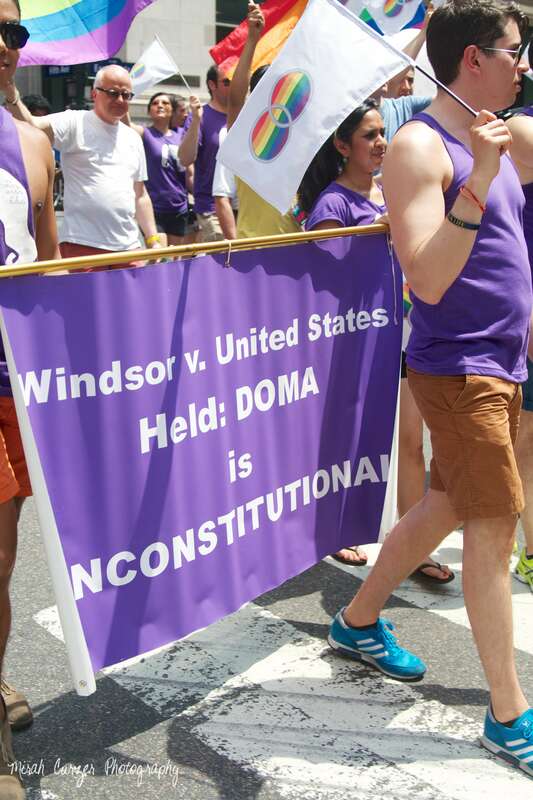 In fact, United States v. Windsor was announced on the ten-year anniversary of Lawrence. 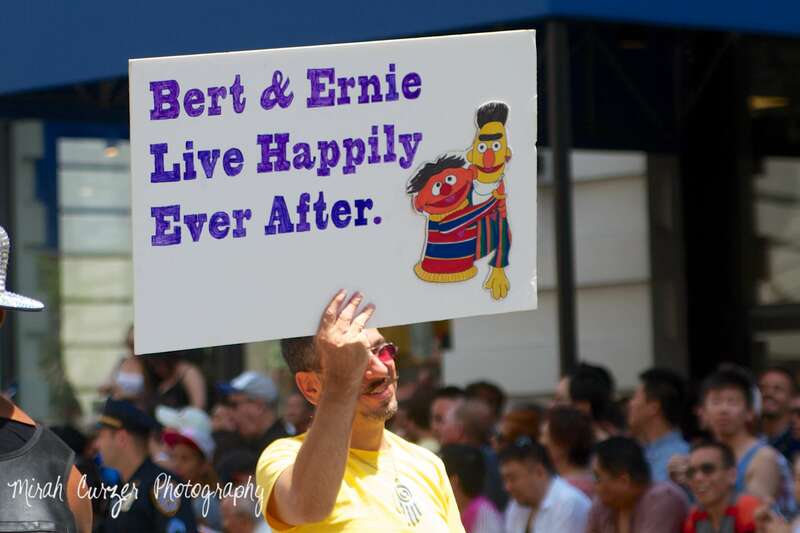 I am truly humbled to have been present for this moment in history. 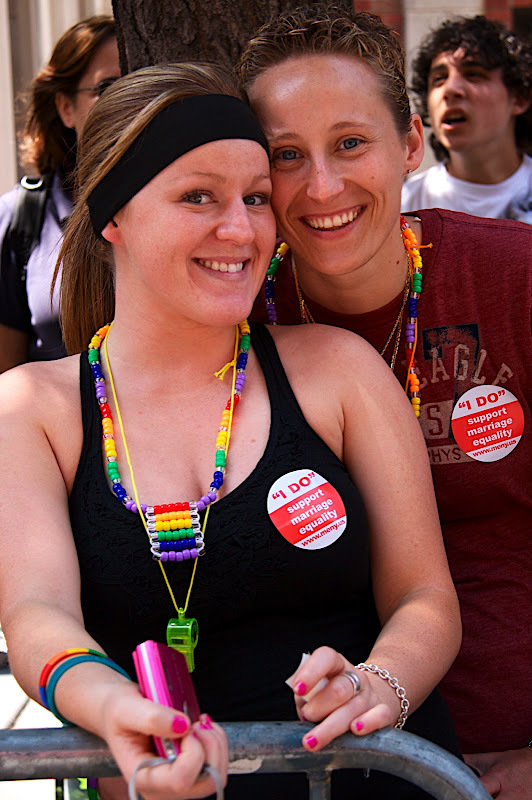 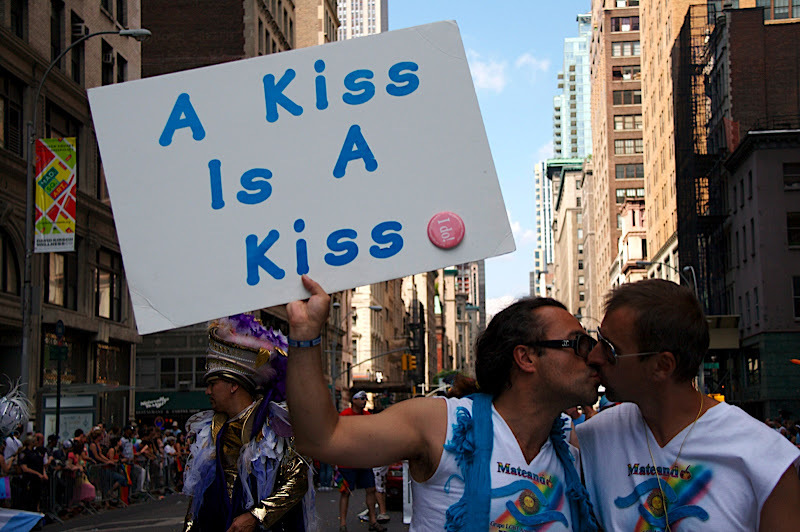 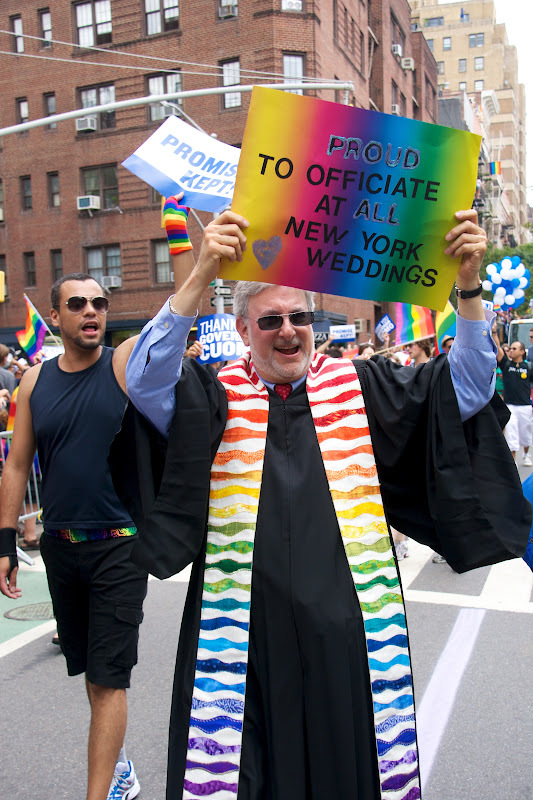 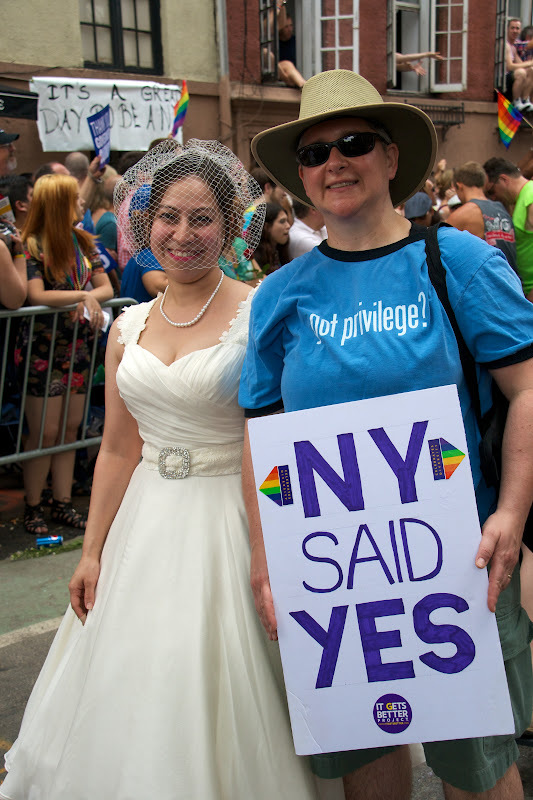 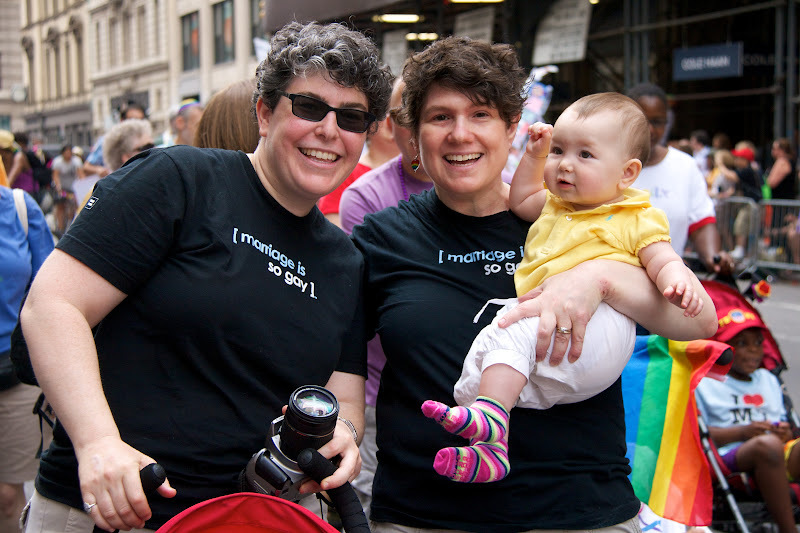 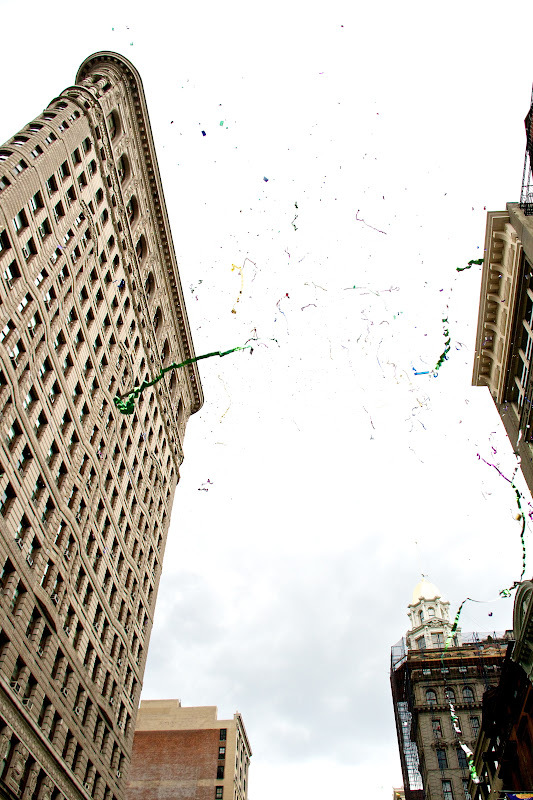 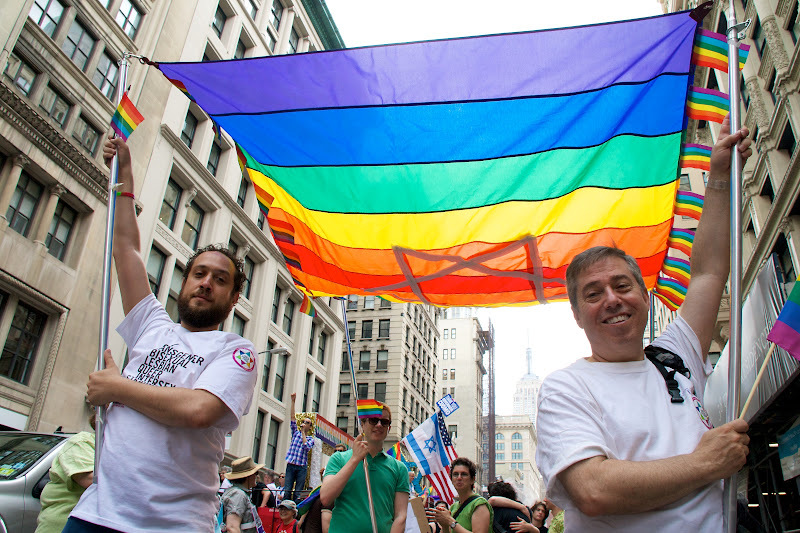 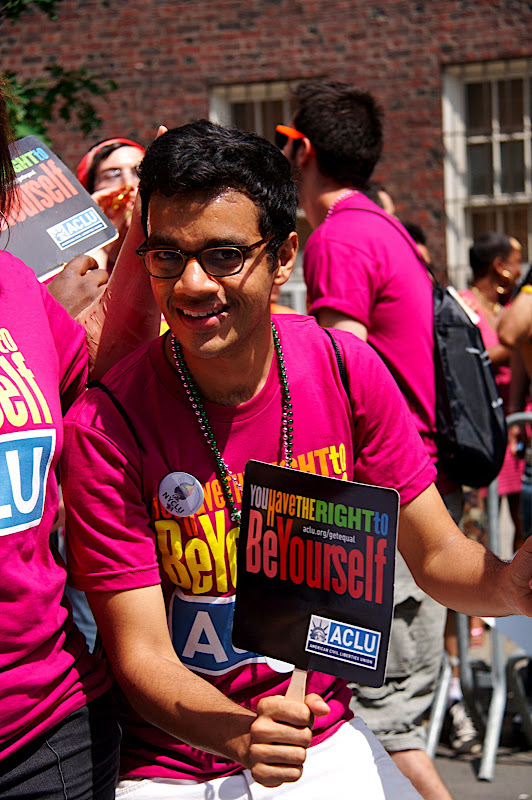 Last week, New York became the largest state to legalize gay marriage. 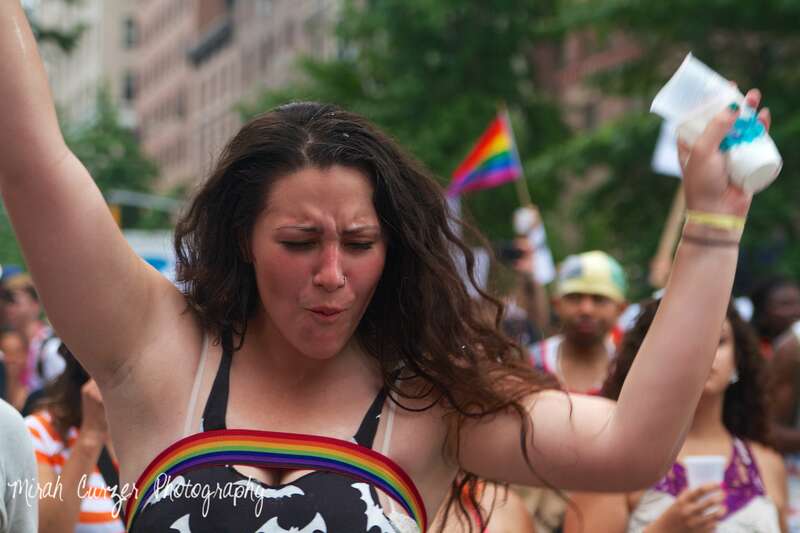 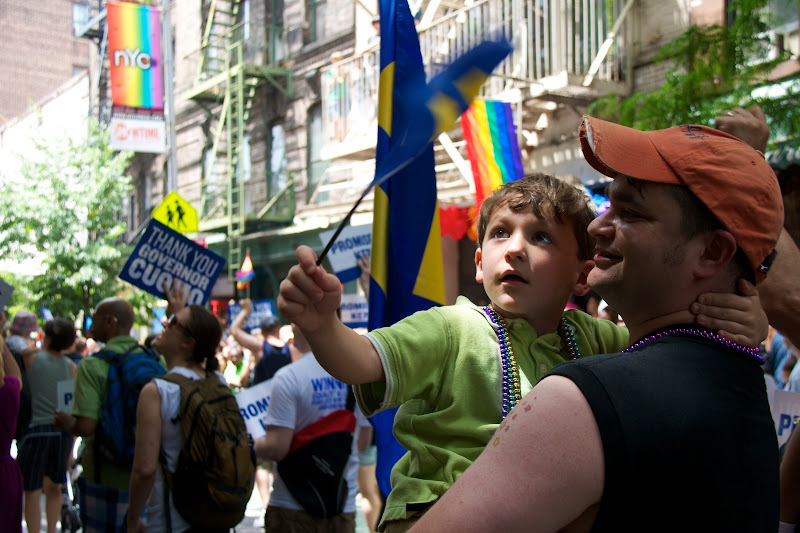 Two days later, over a million people gathered in Manhattan to celebrate this victory for marriage equality at the city's Pride March. 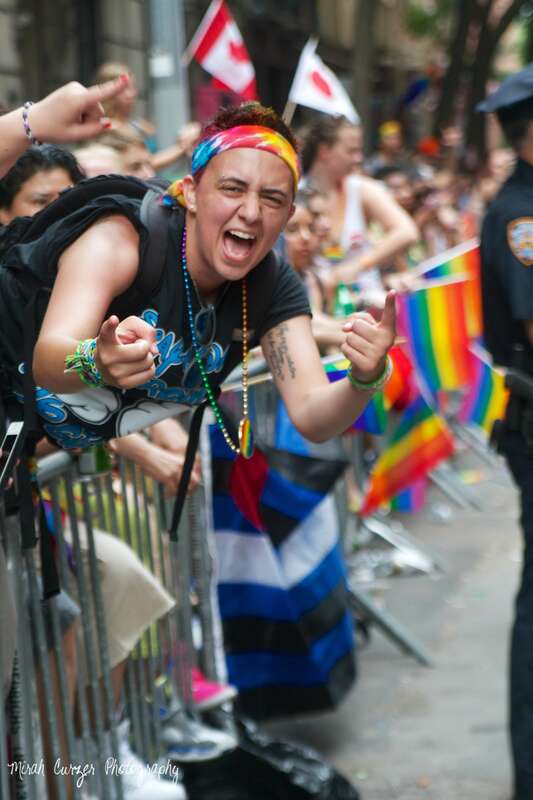 I've been to this event in past years, but nothing came close to the euphoric mood at Sunday's march. 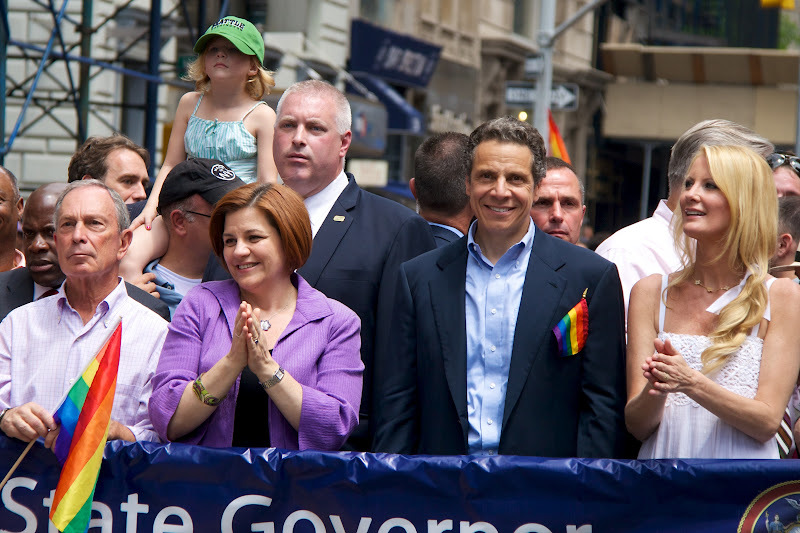 The crowds greeted Governor Andrew Cuomo - accompanied by Mayor Michael Bloomberg and City Council Speaker Christine Quinn - with deafening cheers. 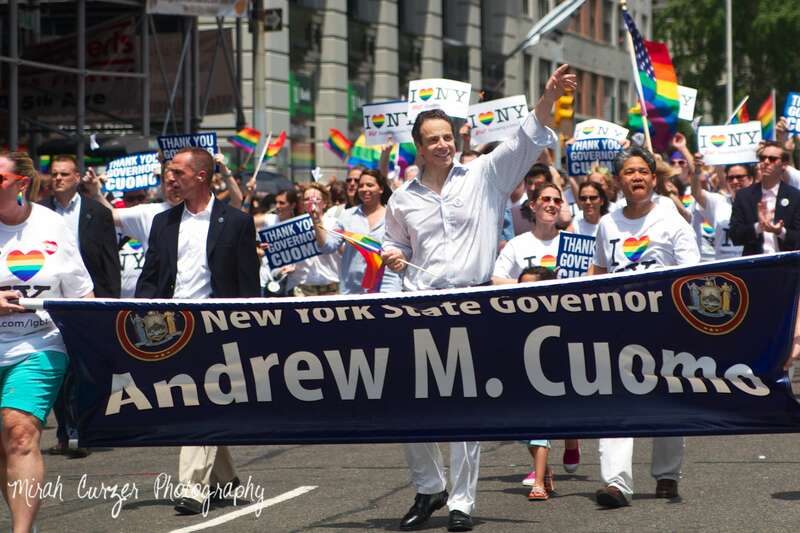 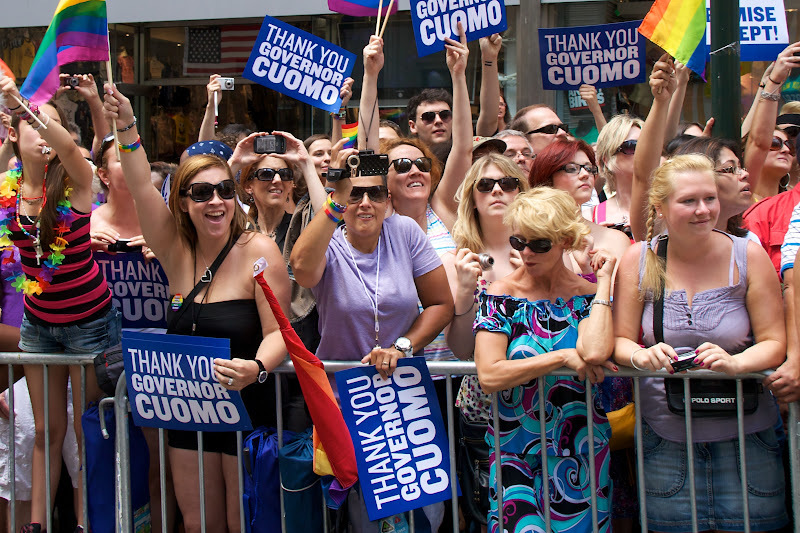 Spectators held up thousands of printed signs reading "Thank You Governor Cuomo" and "Promise Kept," and some reading "Homos for Cuomo in 2016." 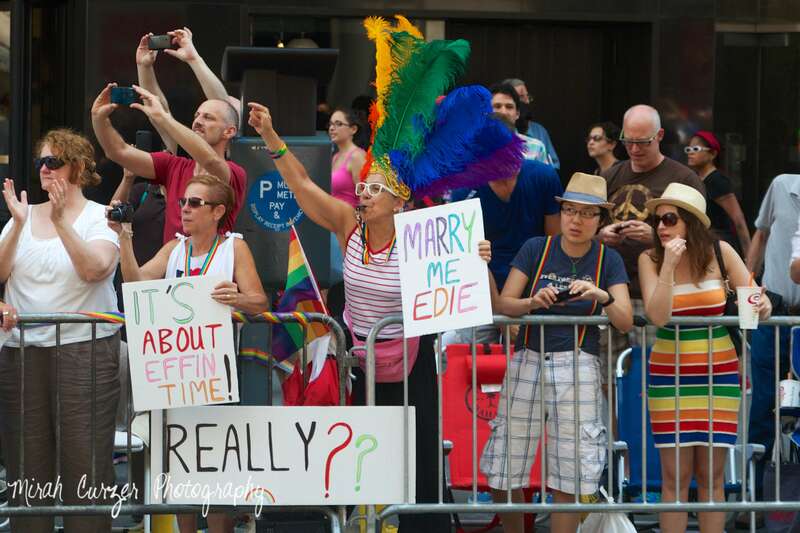 Spontaneous proposals took place along the parade route, and many couples held up signs proclaiming their intention to marry in July. 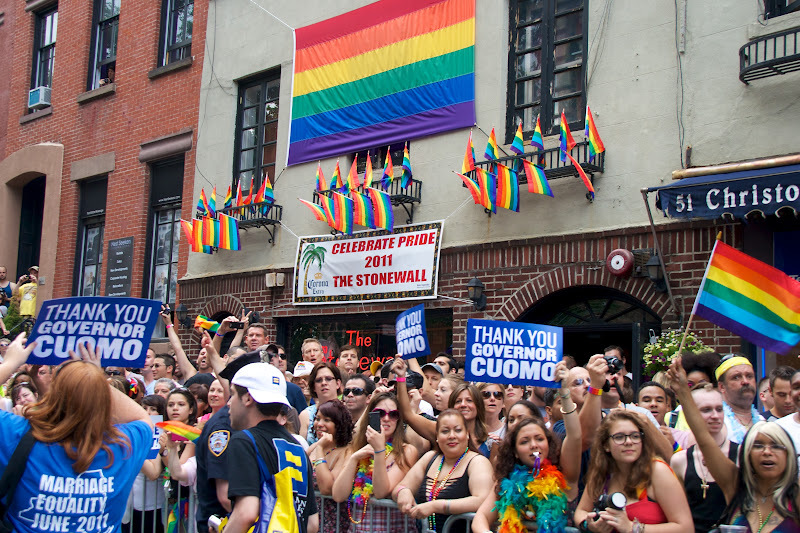 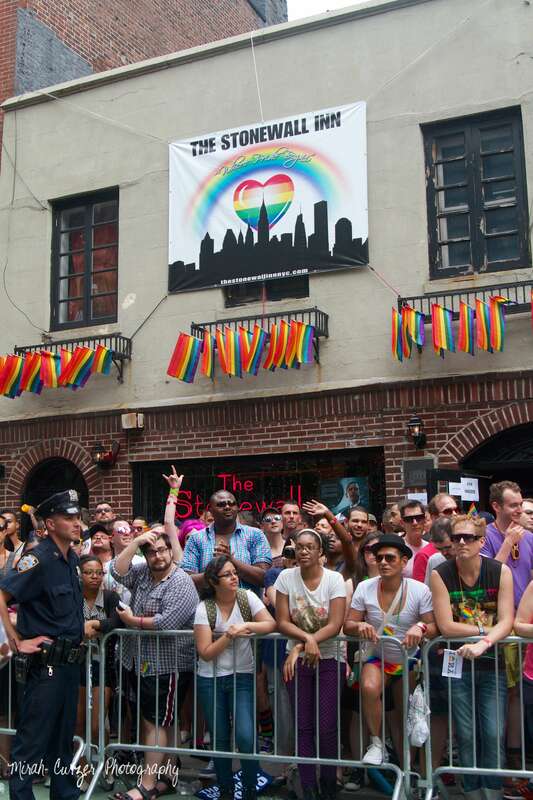 Some of the loudest cheers greeted Governor Cuomo as the parade passed in front of the Stonewall Inn - the site of the deadly riot that started the gay rights movement more than 40 years ago. 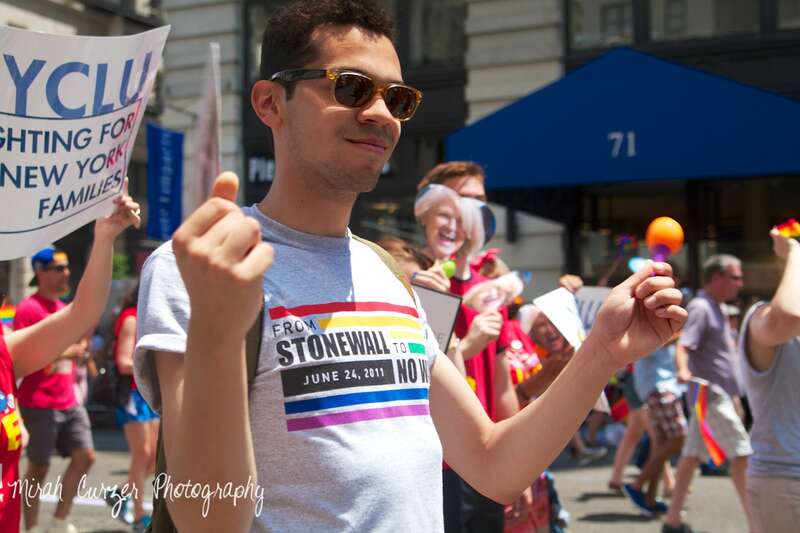 The March was a beautiful celebration of a great moment in this country's civil rights history, and I'm proud to have been a part of it. 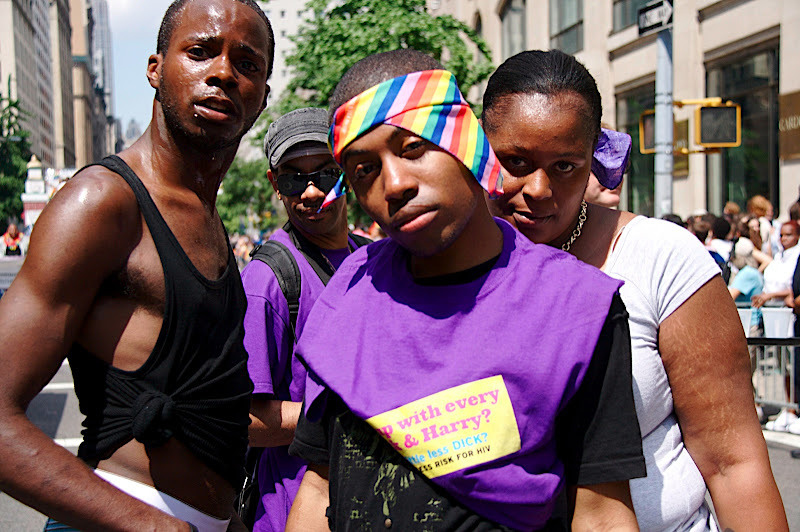 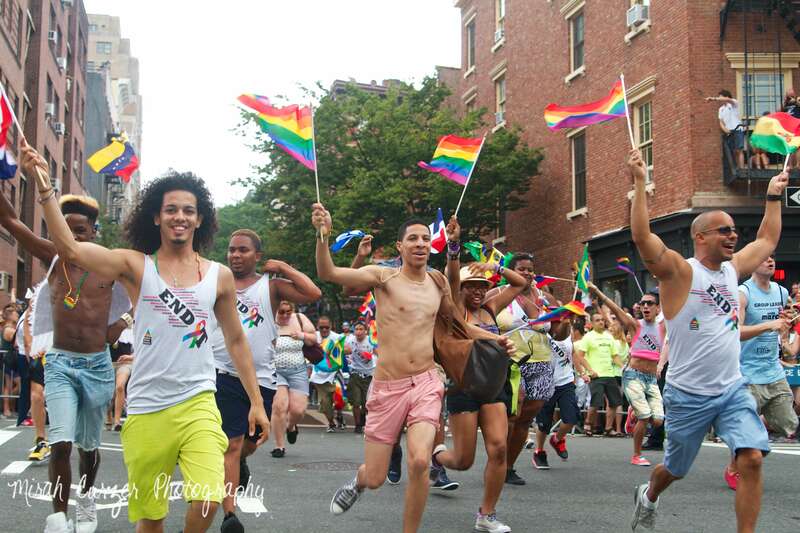 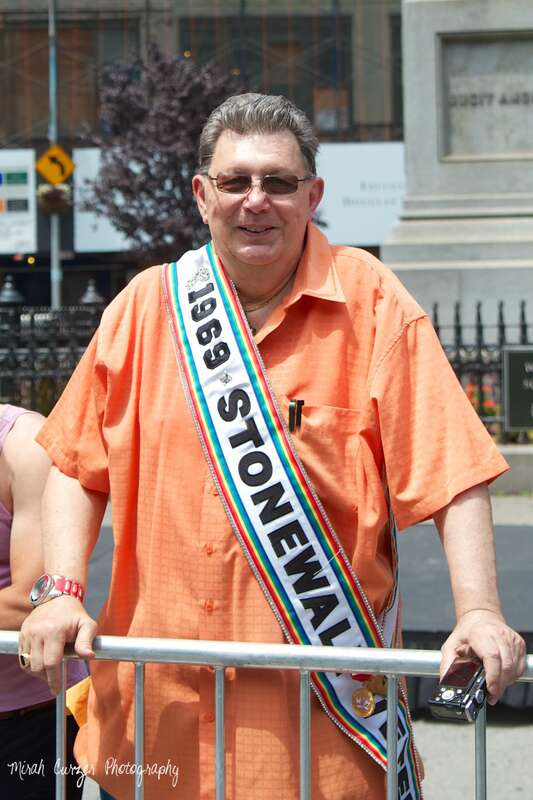 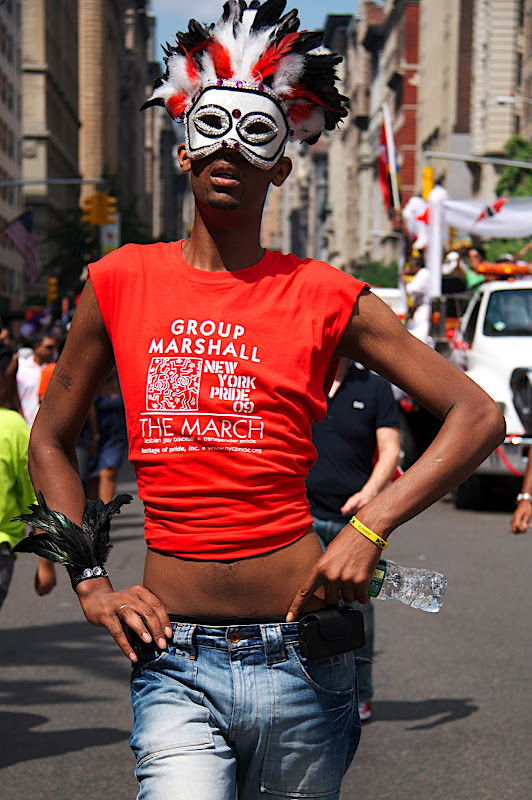 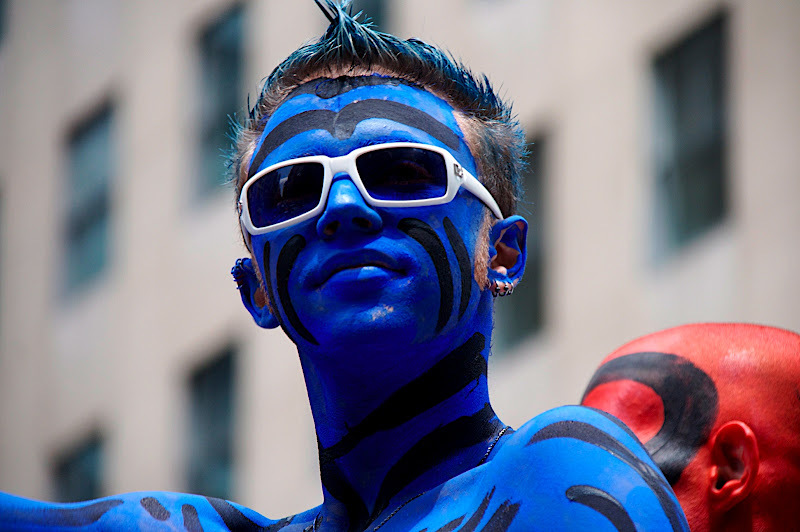 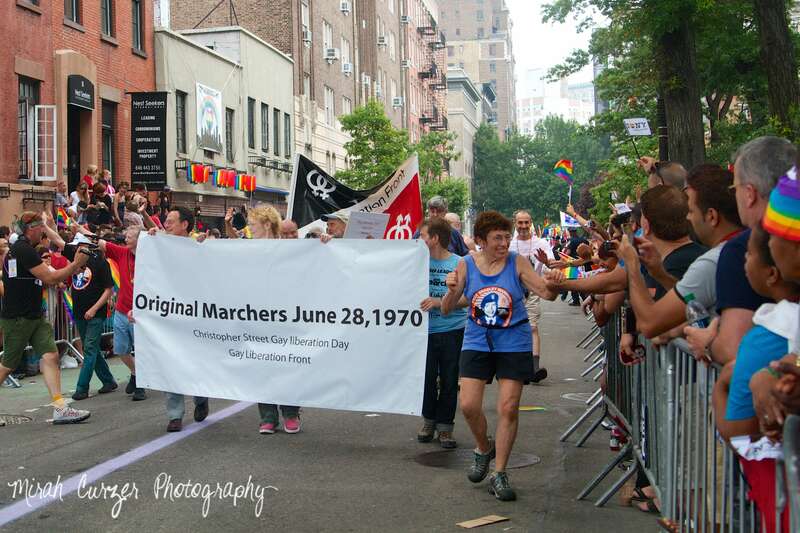 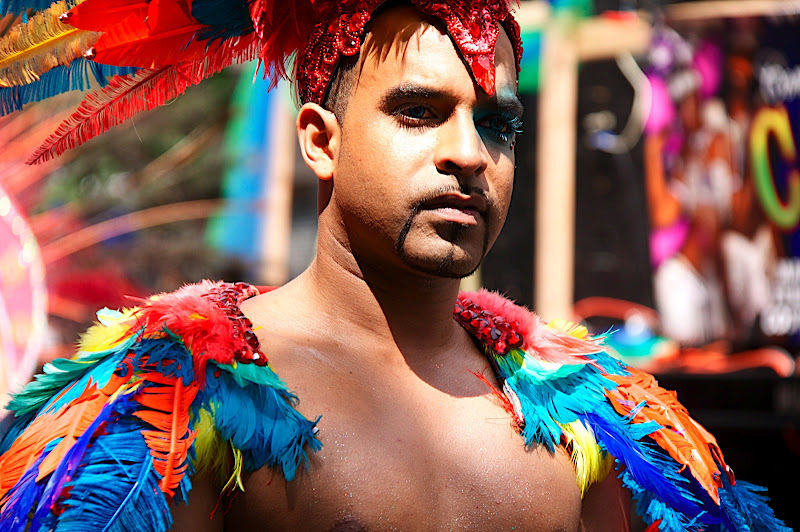 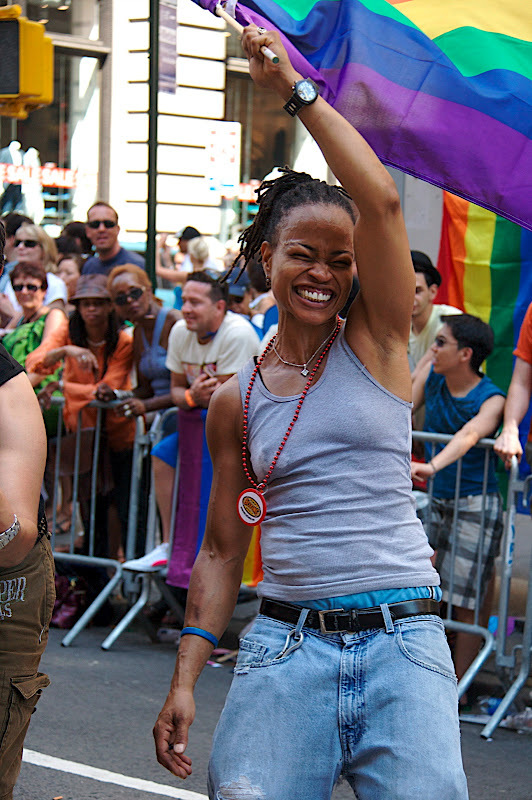 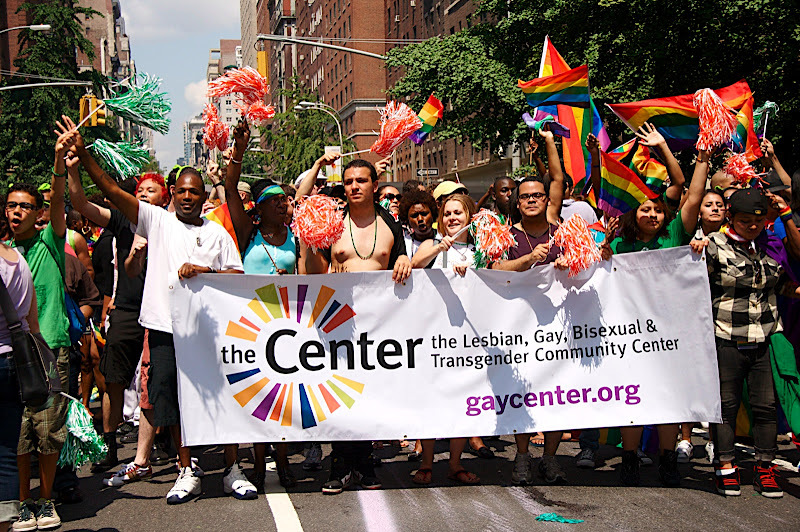 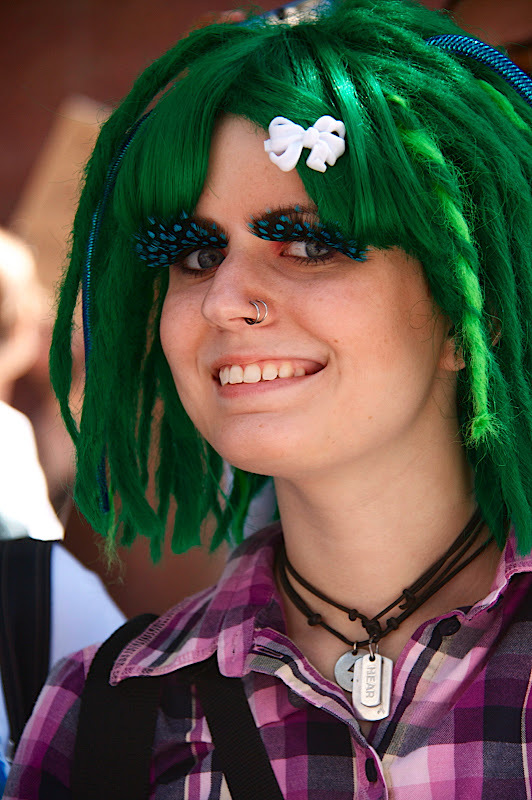 The NYC Gay Pride Parade started to commemorate an anti-gay riot that took place in 1969 at a gay bar in Greenwich Village. 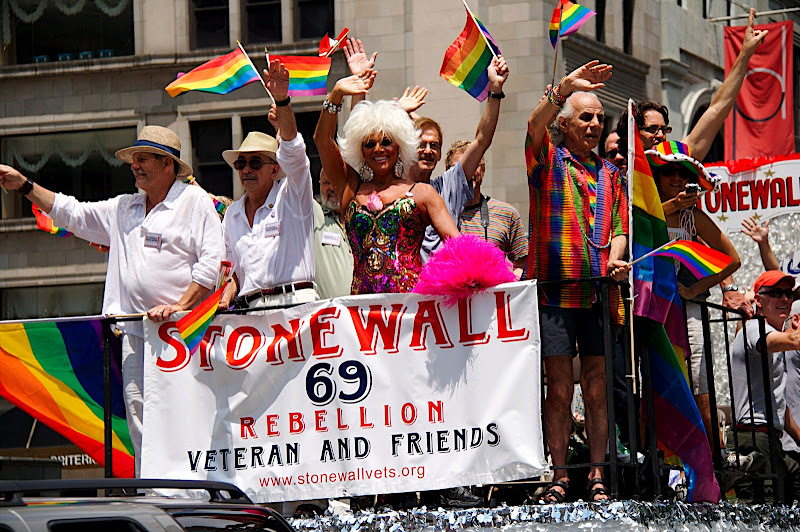 These are the people who were actually there that night. 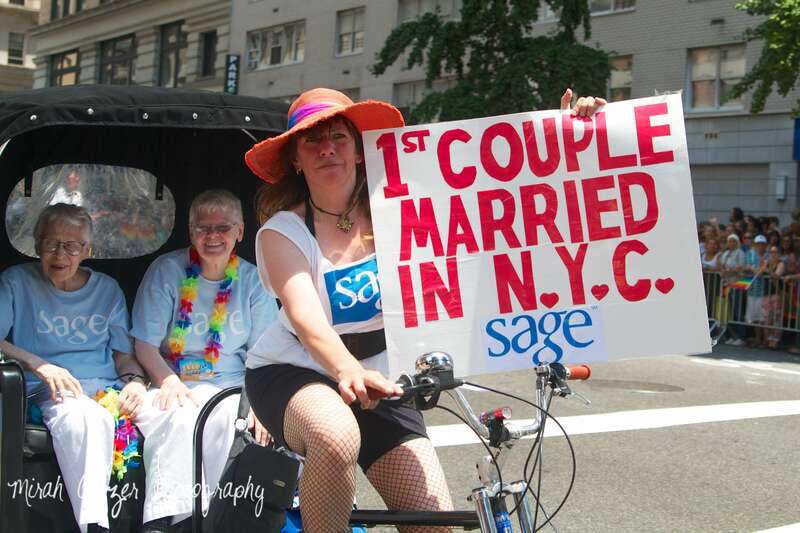 They were greeted by some of the loudest cheering I've ever heard.